For nearly four years, volunteers at the La Jolla/Riford Library have been offering hands-on science programs that are free and open to the public. 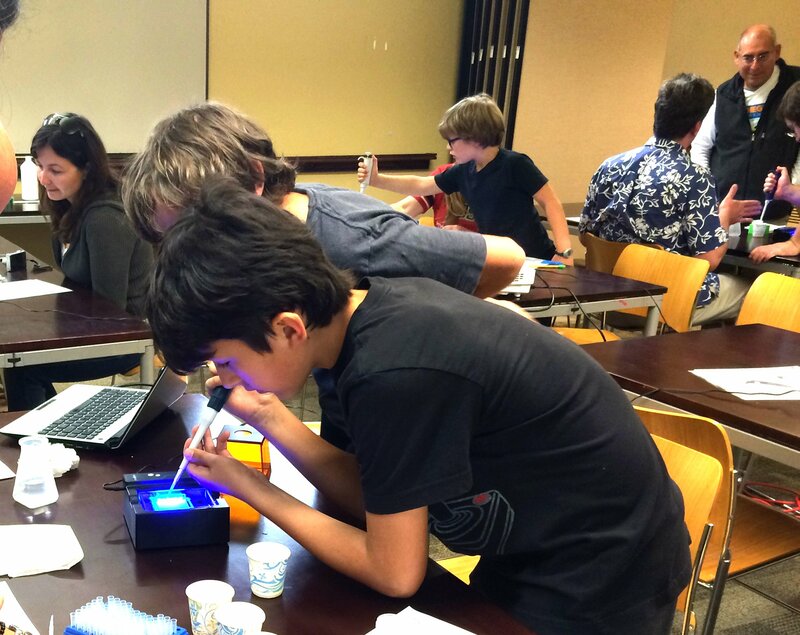 Enthusiasm for using science to solve crimes makes forensics a consistently popular topic for our community science workshops, and DNA analysis is the most compelling activity on the program. 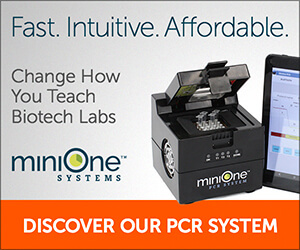 MiniOne reagents and electrophoresis system provided an inexpensive way to incorporate hands-on DNA analysis within a 2-hour workshop that included introductory lecture and three other experiments. We called the program “CSI: La Jolla” and gave the scenario a local twist. This year, the case featured a stolen 1930s Lincoln and references to our annual classic car show. A background story, crime scene information, and profiles of three suspects were presented as a slide show introduction, but it was clear the audience wanted to get to the hands-on investigation as soon as possible. The workshop was aimed at students between the ages of 8 and 14, but plenty of parents and younger siblings tagged along. 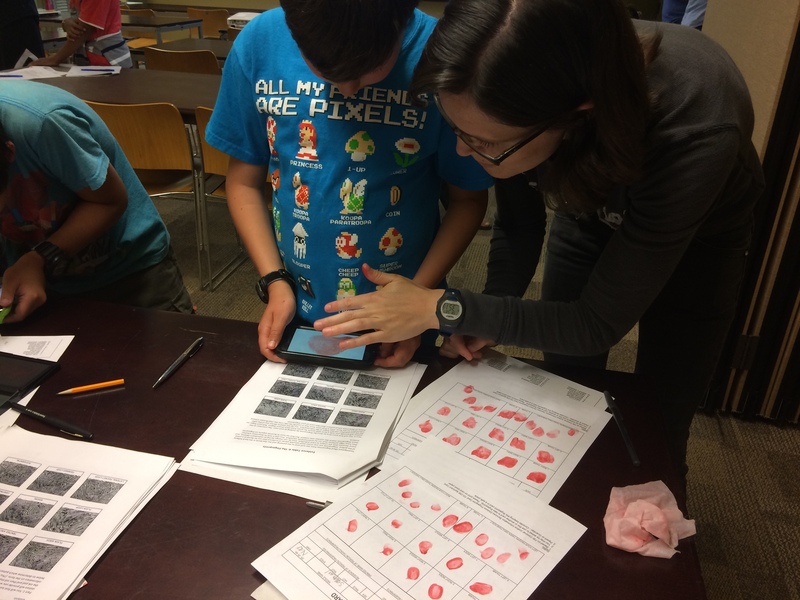 After learning the details of the case, participants rotated through four stations where they examined each piece of evidence, using fingerprint and hair analysis, ink chromatography, and DNA analysis. DNA analysis provided the final and most convincing piece of evidence in the case: Blood and skin cells found at the scene could have come from the victim or the perpetrator. Here we used the reagents from MiniOne Systems’ CSI Forensics MiniLab (Cat. 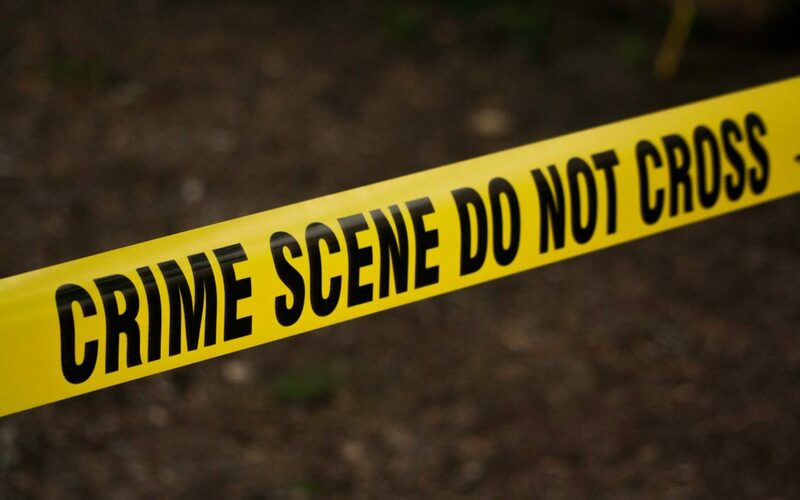 # M3005) as DNA from the crime scene, the victim, and the three suspects. Running the samples on the MiniOne Electrophoresis System (Cat. # M1000), participants were able to learn about electrophoresis and correct micropipette technique, then load the gel and visualize results in the workshop, while leaving time for the three other evidence stations. At the conclusion of the workshop, everyone gathered together and enthusiastically named their top suspect. We evaluated the lines of evidence and challenged the participants to determine which ones were the most conclusive and how the evidence should be evaluated within the whole context of the case. Everyone left with a deeper understanding of the scientific process and a new perspective on the forensics they see on TV!